When the Agriculture Department became the first agency to sign up as a partner under the federal government’s new Centers of Excellence concept for IT modernization, it became known as a “lighthouse agency” to help show the way for other federal agencies to upgrade outdated legacy IT systems. 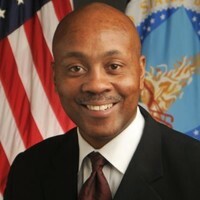 If USDA is the lighthouse, Gary Washington, the agency’s chief information officer, is the lighthouse keeper. Under Washington’s leadership, the agency has taken several strides forward in becoming a fact-based, data-driven, customer-focused agency in terms of the decisions made and the money spent, industry partners say. That work led to him winning the IT Innovator of the Year award as part of the 2018 Pinnacle Awards. The honor recognizes government chief technology officers, chief information officers and program directors who acted as change agents in their agencies and across the federal government. Over the past year, USDA has continued to cull the number of systems that are operating without an Authority to Operate, down to only about 4 percent of systems — a nearly 18 percent reduction from the start of the fiscal year. The agency also reduced the percentage of projects with delayed Plans of Actions and Milestons, or POAMs, by 27 percent. That has drastically reduced the agency’s vulnerability posture. In addition, USDA also developed a 5-year cybersecurity project road map to ensure ongoing cybersecurity updates continue to occur on schedule. Among the other new initiatives the agency tackled under Washington’s leadership: The Tell Sonny dashboard, which captures feedback from citizens across the U.S. and the online portal, Farmers.gov. The 2018 Pinnacle Awards, which honor leaders and influencers in the GovCon space, were presented by WashingtonExec on Nov. 1. Winners were named from list of 50 finalists across 13 categories. See the full list of winners.